Those who take my yoga classes know I end my class saying "take a few moments to think about the things you are thankful for...from the the littlest of things to the not so little things." I found a great article in Yoga Journal that talks about seven ways to document your these things you are thankful for. The article also mentions that listing our thanks has positive affects on our whole body and our minds. 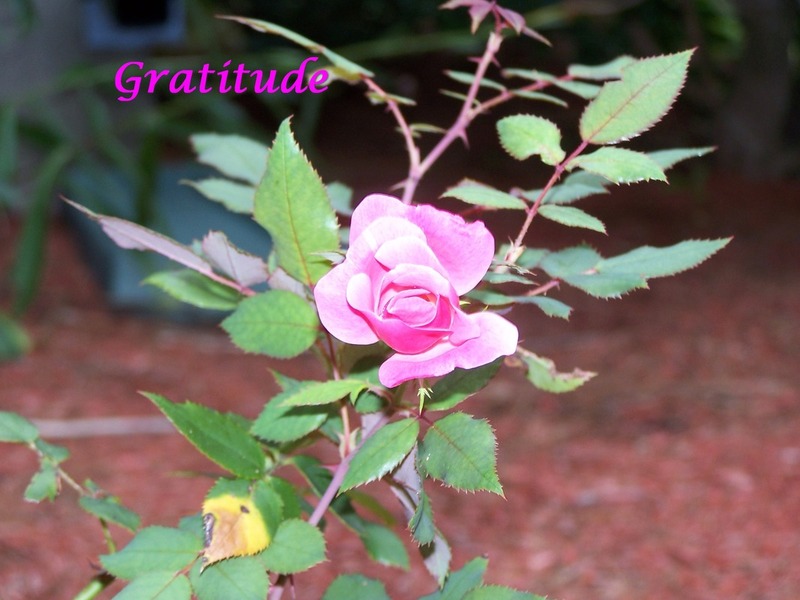 When we list our thanks they outweigh the things that are not working so well. Love how the article says to think of each thanks on your list as a gift! Think about the gifts we get...even the small ones. The article suggests to write about a person whom you are thankful for and maybe even write a letter to them about why you are thankful for them, whether you send that letter or not. Click on the box below to read the article. Let me know what you think and if you try any of the suggestions! Next week the Gleason Family YMCA is having a Halloween night for kids. I will be teaching Pirate Yoga! It will be a 20 minute yoga practice using Hatha Yoga but giving the poses pirate related names. For example, Downward Dog with be "shark," as it looks like a shark fin. The series of poses will be a story of sorts. Last week I taught a Pirate Zencycle class! The 1/2 hour spin was to pirate music, I spoke in pirate and we dressed like pirates. During the 1/2 hour yoga practice I used pirate names for the poses and set it to a story of sorts. 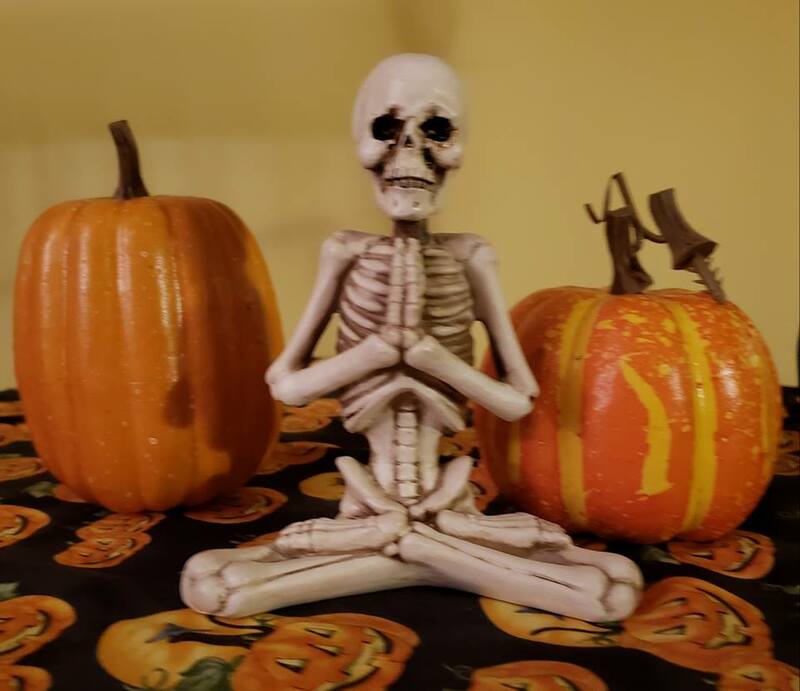 Below are links to a bunch of cool resources for Halloween themed yoga for kids and adults. ​ Youtube video with drawn images. Good for kids. Pictures and a printable poster. Kids Yoga Stories is my go to more kids yoga. Yoga poses in a chair. How do we clean our yoga mats? This question was raised after a recent yoga class. It is a necessity to clean our mats on a regular basis to keep them smelling nice and looking fresh. Important tip: Yoga mats have a "stickiness" to them so we don't slip as we practice. To protect the stickiness of our mats we are careful to use mild soaps and other cleaning ingredients. I learned the hard way when I used a yoga mat spray that included Thieves and Purification essential oils. This is a great smelling cleaner. However, after a few uses, I noticed I was slipping during Downward Dog. It turns out, Thieves contains lemon essential oil. The citrus oils are know to affect plastics and rubber. So be careful. Tip: Yoga mats have evolved over time and are now made with varying textures and materials. What works with one may not with another. Some manufacturers post cleaning instructions on their websites. 1. Gaia.com recommended to spray your mat with a hose or rinsing in a bath tub. Then hang it to dry. Remember the wetter and thicker your mat is, the longer it will take to dry. So plan ahead so you will have your mat for class. Warning: Avoid hanging your mat in direct sunlight as it may over dry your mat. 2. Some websites recommend washing your mat in a washing machine with mild soap. Be aware some mats may not do well with the agitation. A front load washer may be better. Do not use a clothes dryer. Lay your mat on a towel. Roll up the towel and mat. Apply pressure to the roll to squeeze out water. Unroll mat and hang dry. 3. In a spay bottle mix 2 cups of water and 4 cups of dish soap. Using a damp sponge or terry cloth rag rub soiled areas. Wipe your mat clean with water and rub with a dry terry cloth towel. Hang to dry. 4. Make a solution of water and white vinegar using a 50/50 mix to clean your mat. This mix naturally disinfects. One website said the water/vinegar mix will restore the texture and color of a mat made of natural tree rubber. 5. Make a cleaning solution with essential oils which disinfects, cleans and smells nice. Please use quality essential oils. Some oils contain added chemicals and perfumes. I use Young Living Essential Oils. 6. There are manufactured wipes and cleaners for mats. My husband bought some wipes for me at the local dollar store! I hope this is helpful for you. Please respond with your experiences cleaning your mat! PS: I used the Essential Oil spray on my blocks too!